Great first canicross belt :"I've just started out with my lad and didn't want to spend a lot on something unless I started to get really into the whole canicross thing. 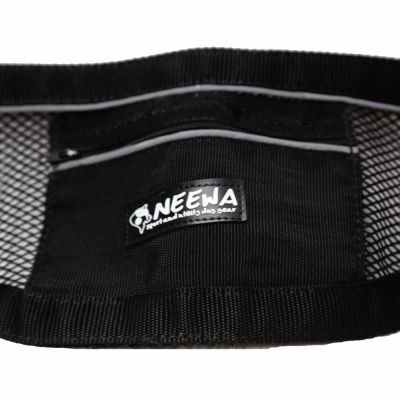 I'm a size 16, with "childbearing" hips and I find things "
The NEEWA Canicross jogging belt is ideal for Canicross, a dog sport that is becoming increasingly popular in the UK. In Canicross, a runner and their dog are linked via a long elasticated lead attached to the runner’s waist belt and the dog’s harness. On a cross country run, the runner is pulled along by their dog, and the belt gives them freedom to use both arms. Running with your dog allows you to cover greater distances than you would alone, at a higher speed. This effective run training engages different muscle groups for you and offers an alternative way to have fun with your dog outdoors. The running belt is ideal for jogging with your dog hands-free, or for use in Canicross. The Canicross belt goes around the runner’s waist and the leg loops help it to stay in place during a run. 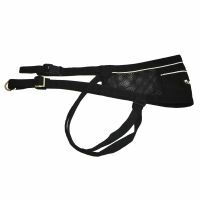 The waist strap and leg loops both adjust for a perfect fit. It is made of a breathable, lightweight fabric and also has a small zip pocket for small items, as well as a reflective strip for good visibility at night. 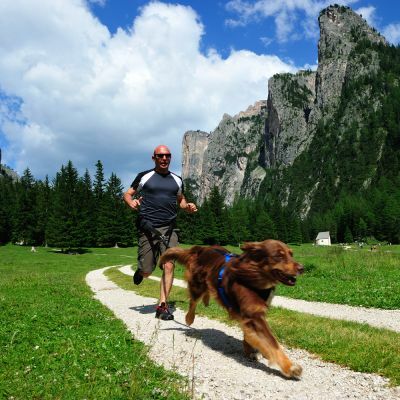 NEEWA is a specialist Italian sports equipment brand that works in close cooperation with professional dog trainers to develop their products. The materials and ergonomic design of each product is specifically adapted to meet the needs of extreme sports and leisure sports enthusiasts. The bungee line is made from hypoallergenic materials that are breathable and very lightweight. The materials do not absorb water and will not change shape. My 1st proper Canicross Belt, it's brilliant, didn't want to spend too much on one as was unsure how I would get on with the leg straps, and it's great, would definitely recommend it.